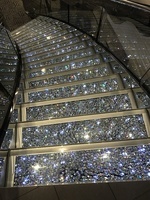 Beautiful Swarovski crystal staircase leading to atrium. 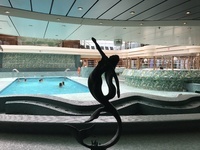 Pool area first day onboard. 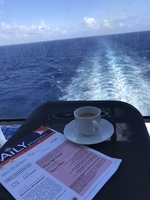 Morning coffee on our balcony, planning a Sea day. 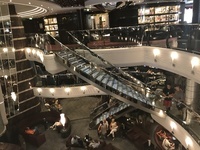 Close up view of crystal staircase.